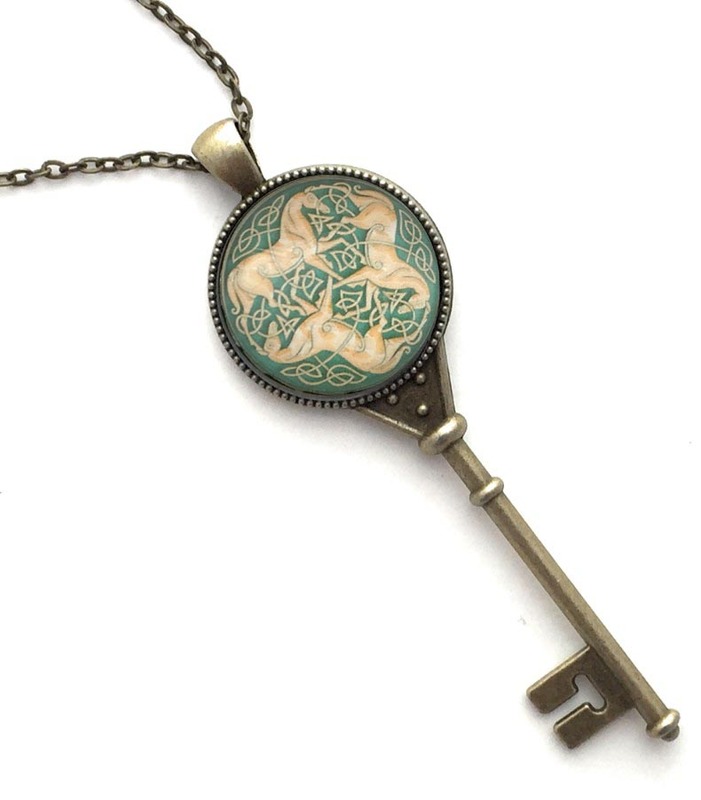 This skeleton key necklace is perfect for men or women! The image itself is printed on pearlescent photo paper under a glass cabochon. The tray is an antique bronze alloy skeleton key. Even the back side of the necklace has a pattern so if your necklace gets turned around, it still looks great! The image in this Celtic-inspired pendant is of a grouping of 3 golden tan horses intertwined with Celtic knots on a background of dark green. Care: Wipe pendant clean with a damp cloth. Do not submerge in water or wear while bathing or swimming.